The Education Secretary, Michael Gove, has quietly relaxed the rules protecting school playing fields. Many people are worried that this could open the door for them to be sold off to developers. Without playing fields it’s hard to imagine how the children of today – the Team GB of tomorrow – will ever match this year’s record Olympic medal haul. If playing fields are sold off and built on, they’re gone forever. There’ll be no way to get them back. Right now David Cameron and his Government won’t want a scandal about school playing fields taking the shine off the Olympic legacy. There’s a great chance that if there’s a massive public outcry, Michael Gove will back down to make sure the Olympic after-party continues on a high. For lots of people, playing outside at break time left them with some of their happiest memories of school. But happy memories aren’t the only long-term benefit of having proper places for children to play. Running around outside gives children the chance to get into good exercise habits early in life. And it can help them concentrate in class the rest of the time, so they learn faster. The Government is already feeling the heat – already a national newspaper has launched a campaign on this issue. We can build on this pressure and, together, we can make that final push to persuade Michael Gove to do the right thing. 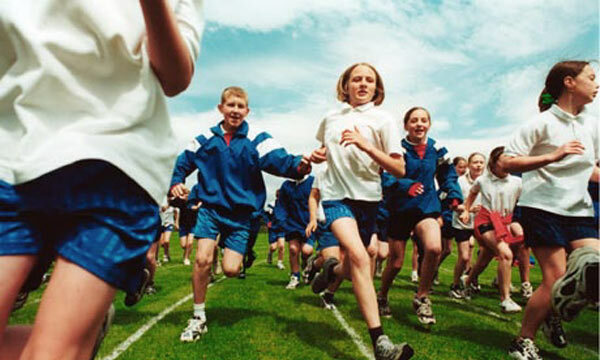 Just a few days ago David Cameron announced his plans to make sport in schools compulsory. Where are kids going to play sports if playing fields have been sold off? With the Paralympic Games approaching, we now have a great chance of persuading the Government to protect the play areas of our future Olympians.